The photo award winners of Australia’s most prestigious photography prize were announced in front of thousands of guests at the official opening of the Head On Photo Festival at UNSW Art & Design Paddington on Saturday 5 May 2017. More than 5,000 entrants vied for over $50,000 worth of prizes across the five categories: Portrait, Landscape Mobile and Student. 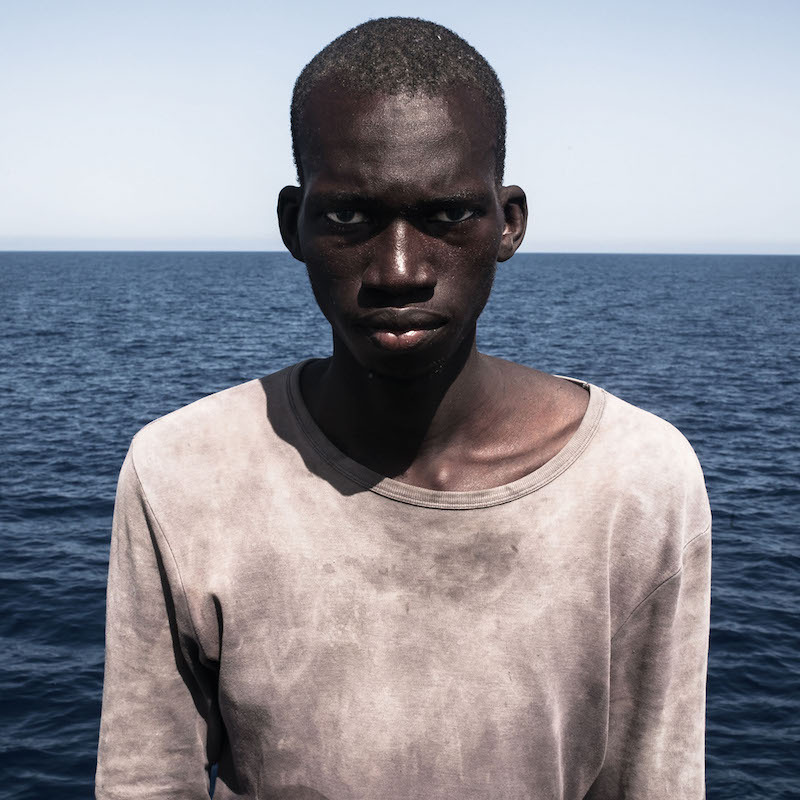 Crowd favourite category, the Head On Portrait Prize, was taken out by Cesar Dezfuli with his emotive portrait of a young West African refugee rescued 20 nautical miles off the Libyan coast. The 16 year-old had travelled in a rubber boat that had carried 118 people on board. First prize in the Landscape category went to Todd Kennedy for an image of a rock formation at Lake Mungo. Although it looks as though it’s been taken in black and white, it’s actually shot in colour. Winner in the Mobile division was Demetris Koilalous for his haunting shot of the sea passage between Greece and Turkey that is referred to by migrants and refugees as the ‘death passage’. The image was shot during a tempest that caused a temporary halt in the arrival of dinghies from the Turkish coast. The Student prize was awarded to Sophie Smith whose use of a slow shutter produced an image filled with energy and liveliness. Running from Thursday 5 – Sunday 28 May 2017, Head On Photo Festival is one of the world’s largest and most prestigious photo festivals. Since it began in 2010 the Festival has evolved from 70 events to 180 throughout its program. This year, over 60 featured exhibitions have been nominated as highlights of the Festival. Please visit the Museum of Sydney to see all finalists of the Portrait, Mobile and Student categories and the NSW Parliament House to see the Landscape category finalists. See the works of all 40 Portrait Prize finalists at the Museum of Sydney, 6 May – 9 July, 2017. 2017 saw the addition of two new prizes supported by Parliament NSW, the President’s Prize and the Speaker’s Prize. "Landscape can offer more than sense of space …. it can also present the context in which our lives are lived. “The Calling” is certainly interested in landscape as context but it is also an invitation to imagination and participation. How are stories created? Is this story fragment a beginning or an end? Can the viewer play a role in story? These questions are intentionally left unanswered and in so doing the work asks the viewer to think into their own imaginary worlds." SPEAKER'S PRIZE - Chris Round - Boat Hire, Jindabyne, NSW. "This image is part of an ongoing series concerning the Snowy Hydro Scheme - the structures, landscapes, towns, recreations etc. By far the most adventurous and significant piece of infrastructure, and an engineering wonder of the world, the Snowy Hydro Scheme not only shaped a region, it shaped a nation with thousands of immigrant workers arriving in Australia to help with the construction. The system diverts precious water from the Snowy, Eucumbene and Murrumbidgee Rivers westward through the Great Dividing Range for use in irrigation. The Scheme is also used as a source of hydro electric power. During it's creation process a number of reservoirs used for storing water & recreational use were created. Here, on Lake Jindabyne, a boat hire pontoon sits marooned off the banks after heavy rains in September and October 2016. The blue, evening light marries well with the still air and is further accentuated by the tones of the medium format film."